Under normal circumstances, your body maintains or regulates your natural cortisol levels. Most healthy adults have a high cortisol level first thing in the morning and a low cortisol level at night. But when you’re feeling stressed, your body secretes more cortisol. Cortisol is frequently referred to as the “stress hormone” because it’s also secreted in higher levels during the body’s fight or flight response to stress. It is also responsible for several stress-related changes in your body. 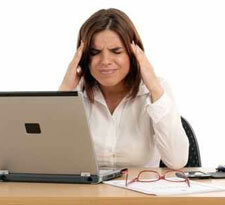 Chronic stress leads to chronically high levels of cortisol in your body. This creates a need for higher levels of other hormones (e.g. thyroid, insulin, estrogen and testosterone) in order to do the same job.